Although car brands will occasionally bleat on about their history and how long a certain model name has been on sale, we can’t think of any that are quite so long lasting as the Rolls-Royce Phantom. While the famous British marque is unlikely to boast about this fact – such bragging is arguably far too vulgar – we’re quite happy to point out that the name first appeared in 1925. Yes, there have been a couple of occasions where the name disappeared for a decade or so, but it has been a firm fixture in the range since 2003. Now on only its eighth generation, the Phantom remains the pinnacle of the Rolls-Royce range and, arguably, the new car market as a whole. 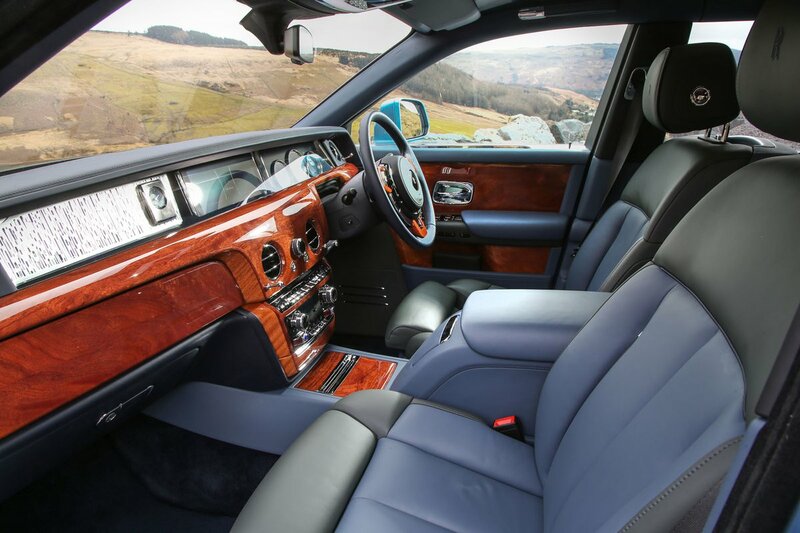 Like its direct predecessor, the Phantom is a gargantuan saloon that stands nearly as tall as some Range Rovers and is almost six metres long if you opt for the extended-wheelbase model. Underneath a bonnet long enough to be used as a runway sits a 6.75-litre V12 that’s bolstered by a couple of turbochargers. Power is most definitely adequate: there’s enough of it to fling the Phantom from 0-62mph in a little over five seconds. 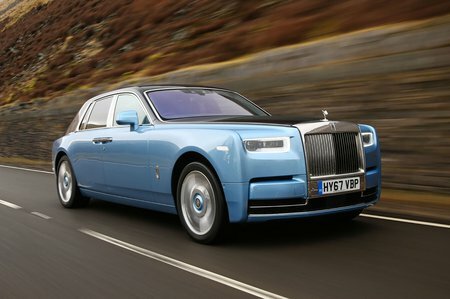 But although it’s quick and has both adaptive air suspension and four-wheel steering to make it the most nimble Phantom to date, this is no sports saloon. No, this is a car built to cosset and calm its occupants in their own bespoke leather-lined cocoon. How you decorate this cocoon is almost entirely up to you; there is a brochure full of colours, upholsteries and options you can choose from. And, if your bank balance has enough noughts before the decimal point, Rolls Royce will gladly add to, remove from or adapt your Phantom in any way you like. Although we suspect Rolls-Royce would say the Phantom is without rivals, we’d argue that the Bentley Mulsanne serves as a similarly bespoke and far sportier alternative, while the Mercedes-Maybach S-Class is also worth a look. Sure, you could argue that the regular S-Class, BMW 7 Series and Audi A8 are also rivals, but that’s like suggesting that an M&S meal deal is comparable to a hamper from Fortnum’s. Should you be in the market for a luxury motor vehicle of any kind, then do have a look at our New Car Buying section for big savings on hundreds of new conveyances.